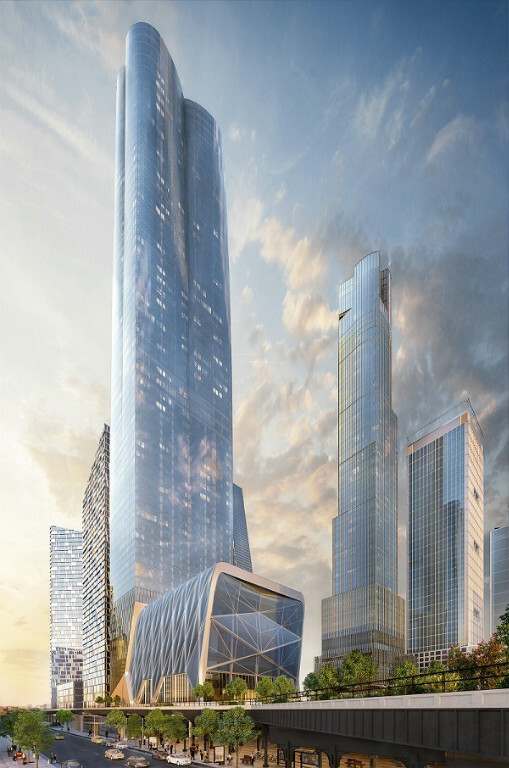 The first residential tower to open at Hudson Yards, 15 Hudson Yards will be the vanguard of art, fashion, commerce and design. The 88-story building, designed by Diller Scofidio + Renfro in collaboration with Rockwell Group, will be among the tallest in New York City. The elegant silhouette has a distinctive shape defined by gradual curves that form four graceful arcs of glass. 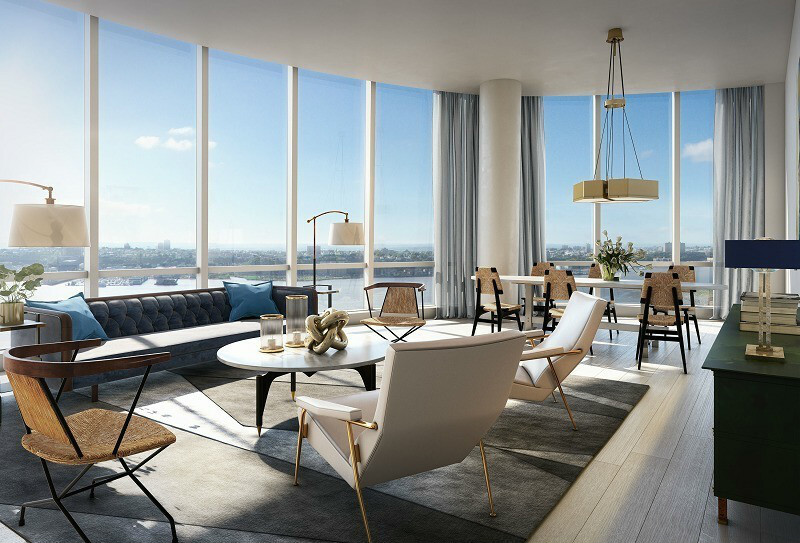 15 Hudson Yards offers five distinct residence types, ranging from one-bedroom layouts overlooking the High Line to duplex penthouses with panoramic city views, 26-foot ceilings and more than 5,000 square feet of living space. All homes offer handsome wide-plank oak flooring, hand-selected materials and kitchen appliances by Miele; residents can select from two interior design palettes. With lavish master suites, expansive floor plans and the best features, the building ensures optimal city living. Residents will enjoy unmatched amenities, including 24-hour concierge service, two floors of wellness offerings and a skytop entertaining suite with indoor entertainment lounges. 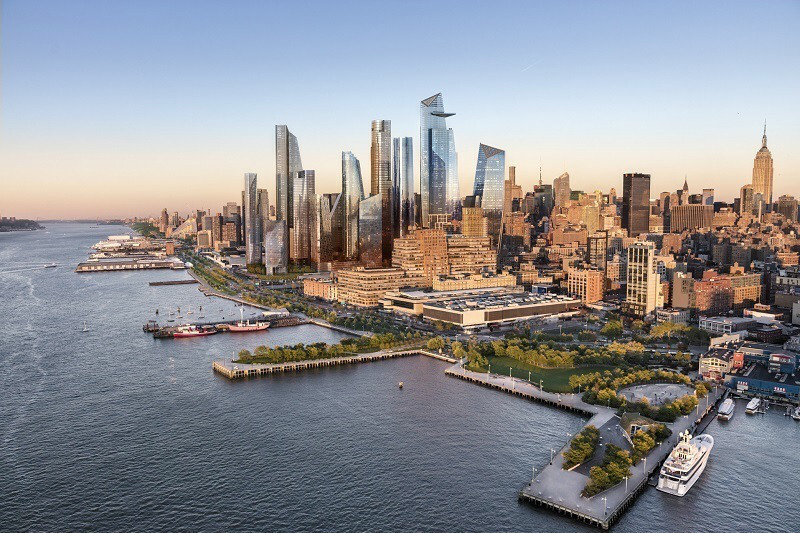 Set in the center of Hudson Yards on the site’s public square, the building will overlook the majestic new design installation by Heatherwick Studio and will connect directly with The Shed, New York’s forthcoming center for artistic invention. 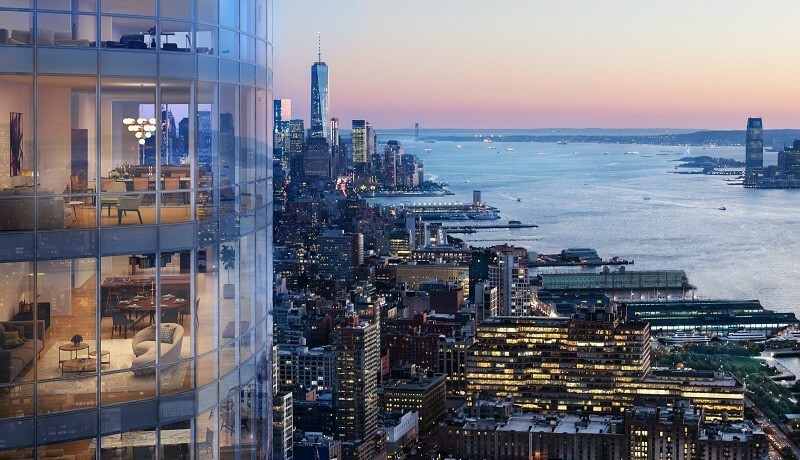 Now under construction, 15 Hudson Yards will debut for sales in the fall of 2016, with residences to be completed in 2018.